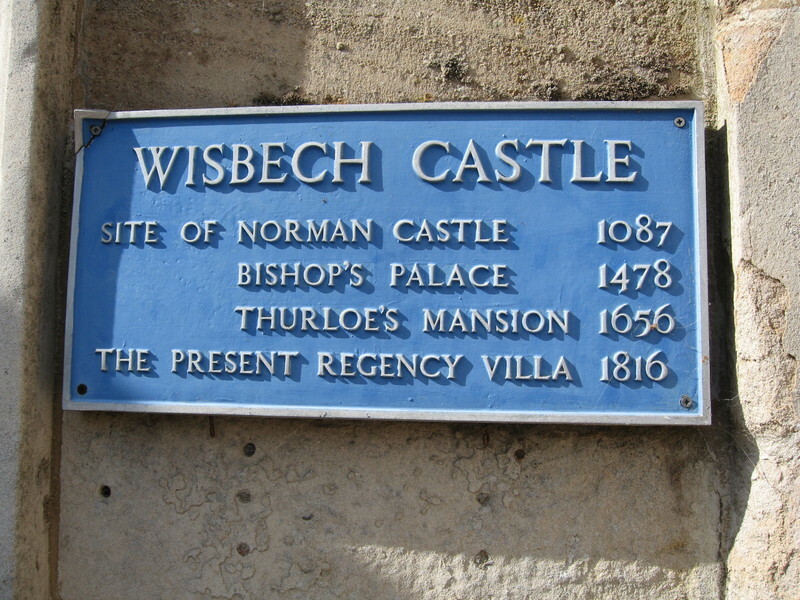 Joseph developed the 'Castle' site having bought Thurloe's mansion and grounds from the See of Ely in 1792. Joseph Medworth was the son of Simon Medworth and Anna Lampson. He was born in Wisbech in 1752 and married Sarah Fisher in 1775 at Wisbech St. Peter church. He moved to London and became a bricklayer, later returning to Wisbech in 1793 to develop what we now know as The Crescent. In 1792, Joseph Medworth purchased not only Wisbech Castle (at that time Thurloe's Mansion), but also the land around it with the various outbuildings that stood on it. 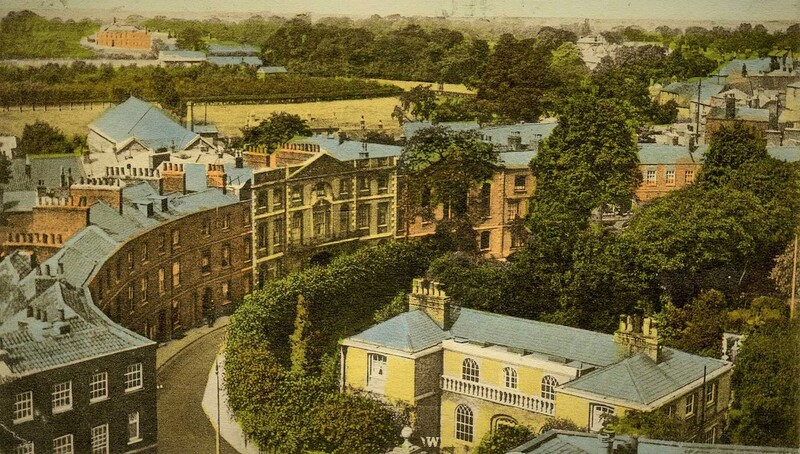 It was just as well as the Mansion would very soon have been outgrown by the school with its increasing numbers, and Wisbech would have lost the old school building, previously the Headquarters of the Guild of the Holy Trinity and of great historical interest. Altogether there were about fifty fine dwellings each with a kitchen in the basement, communicating dining room and drawing room on the ground floor, and two more floors for bedrooms. All of these houses have access to the rear by passages for that purpose. Their gardens are very small. The County Library now stands in Ely Place, on a site made available by the demolition of a rather attractive Baptist Church with spire. The latter was built in 1873, and in order to make room for it some of Medworth's houses were demolished. The present Masonic Hall in the Crescent was formerly a Wesleyan Methodist Chapel, built in 1803. It is suggested that Medworth demolished Thurloes Mansionout of pique, given that the Grammar School refused to purchase the property! He suspected that they were waiting for him to die after which they might acquire it more cheaply. 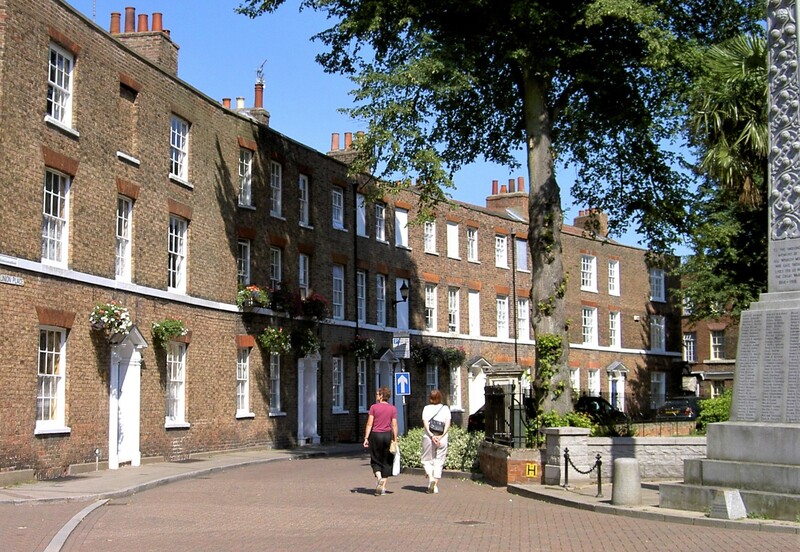 Medworth also built Union Street, the Crescent and Market Street and five almshouses in Love Lane for poor women. The latter were demolished in 1971. Joseph Medworth had several illegitimate children by his two housekeepers. He is said to have acknowledged them all and treated them well. Some of the original fifty houses in the Circus were given to them. 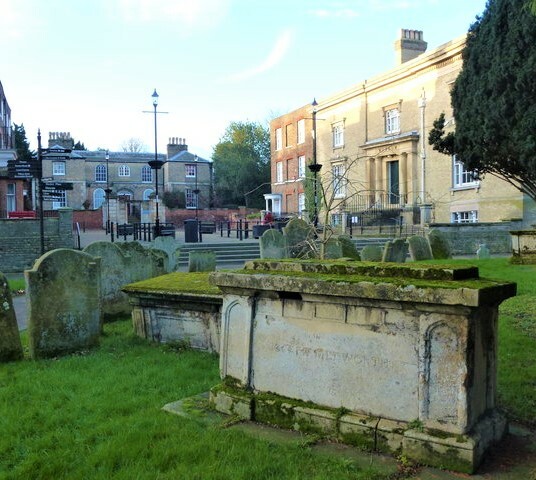 Notably, Joseph Medworth, who died in 1827, is buried in the Churchyard of St Peter's Churchyard. His grand Grade II listed Chest Tomb sited in the South west of the grounds, in close proximity to the Crescent he built. 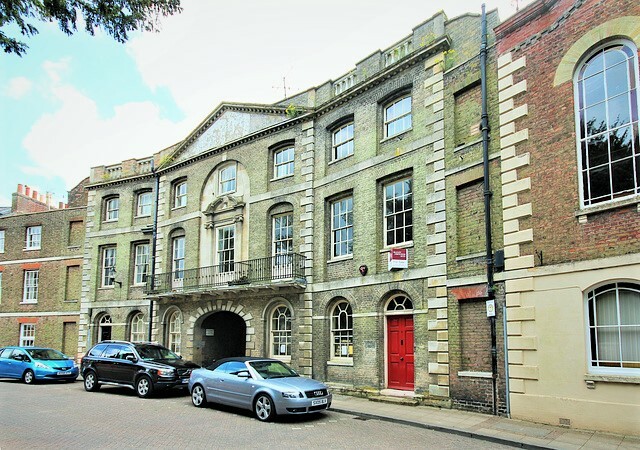 Wisbech itself contains an astonishingly rich and diverse plethora of historic buildings and, given its size- comprsing some 40,000 residents- contains a signifcant number of Grade listed buildings. This figure, which currently stands at 266 buildings (2017), includes every single building along the crescent itself. The uniformity of buildings on the Crescent is part of its overall charm. The Masonry frontage of the structures retains a clean line to each storey, almost linear in nature. The arc, formed by the level line of windows is broken in the centre by numbers 7&8 and Wesleyan Chapel. The shallow pitched roof to the second floor of the buildings is hidden from view at ground level by a parapet, running the length of the residential terraced properties. The residential properties forming The Crescent can be considered Townhouses by modern definition. Number 6 is a prime expample and its II* listing, held by Historic England, describes in intricate detail the structure. Comprising three storeys and a basement, its higher graded status is attributed to the retention of most original features. Built in 1803, it contains a pedimented facade, formed of local brown brick. As with the other residential properties to this row, the facade is broken up by painted stone bands and topped out with a stone capping to the parapet. Second floor windows comprise twelve paned recessed hung sash windows in cambered gauged red brick arches. Intricate detailing to the exterior of the properties is mirrored to the interior and Number 6 is noted as containing the original open string staircase, three original chimney pieces, panelled window cases and round headed arched cupboard. The service basement is noted as retaining the Iron Range, fabricated by F. Ford of Wisbech.